Engineers, water and waste-water operators, water and waste laboratory analysts, stakeholders and other water and waste-water industry professionals from utilities across the Caribbean will gather in Grenada this week for the 4th Annual Caribbean Water Operators Conference. The conference will be held at the Radisson Hotel on June 25 and 26, to discuss matters relating to the professional and organizational responsibilities of water operators across the region. The theme for the two-day conference is: Improving Operators Efficiency: Adapting to Climate Change. 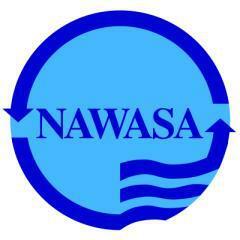 The 2015 Water Operators Conference is jointly sponsored by the host utility — the National Water and Sewerage Authority (NAWASA) of Grenada, and the Saint Lucia-based Caribbean Water and Wastewater Association (CAWASA). The opening session of the conference will be addressed by Grenada’s Public Utilities Minister Hon. Gregory Bowen, as well as representatives of the sponsoring agencies, while the feature address will be by Mr Daniel Cummings, a former Director of CAWASA and a former General Manager of the Central Water and Sewage Authority of St Vincent and the Grenadines. The conference aims to update the knowledge and skills of water and wastewater operators through interaction with fellow operators and professional, as well as to provide them the opportunity to access, view and share the latest ideas in technical equipment, technology, products and services with suppliers. Meanwhile, during the conference the OECS/RRACC Project will put up an exhibition on Climate Change. Other exhibitors will be: IsraTech from Jamaica, VAG-Germany, CARPHA, GWP-C; UNEP-CReW, among others. The public and school children in particular are invited to the exhibition. Mr Ray Olson, President of the Association of Boards of Certification (ABC) of the USA, will also attend. ABC is an international organization of environmental certification boards working to advance water quality and integrity. CAWASA is a member of ABC and its quarterly certification examinations, which are crucial to water operators across the region, are professionally certified by the ABC, which is the premiere certification board of its kind in the USA. The conference will also provide Caribbean operators with the opportunity to share their experiences in preparation for the Operators Certification Examinations, as well as to showcase their presentation skills through professional presentations and competitive activities. The Grenada meeting will allow the participants to showcase their technical skills through the Operators Competition and to identify emerging trends in the water and wastewater industry.